Open BIM is a universal approach to the collaborative design, realization and operation of buildings based on open standards and workflows. Open BIM is an initiative of several leading software vendors using the open buildingSMART Data Model, also known as IFC. Open BIM Programme is a marketing campaign initiated by GRAPHISOFT®, Tekla®, and others to urge and facilitate globally coordinated promotion of the Open BIM concept throughout the AEC industry, with aligned communication and common branding available to programme participants. Open BIM supports a transparent, open workflow, allowing project members to participate regardless of the software tools they use. Open BIM creates a common language for widely referenced processes, allowing industry and government to procure projects with transparent commercial engagement, comparable service evaluation and assured data quality. Open BIM provides enduring project data for use throughout the asset life--cycle, avoiding multiple input of the same data, and consequential errors. Small and large (platform) software vendors can participate and compete on system independent, "best of breed" solutions. Open BIM energizes the online product supply side with more exact user demand searches and delivers the product data directly into the BIM. Vectorworks, Inc. is a global design software developer serving the architecture, landscape and entertainment industries. Since 1985, the company has been committed to helping designers capture inspiration, nurture innovation, communicate effectively and bring their visions to life. Vectorworks develops CAD and BIM software for Mac and Windows that puts BIM at the heart of the design process, enabling the flexibility needed for efficient iteration throughout the design life-cycle. Headquartered in Columbia, Maryland, Vectorworks is a part of The Nemetschek Group and empowers more than half a million designers to create experiences that transform the world. With its software, Tekla drives the evolution of digital information models and thus provides more and more competitive advantage to the construction, infrastructure and energy industries. The company was established already in 1966, and today it has customers in 100 countries, offices in 15 countries, and a global partner network. Tekla became part of Trimble Group in 2011. GRAPHISOFT is the pioneer and leader in developing Virtual Building™ solutions and empowering the broadest community of architects to deliver model-based projects that are better designed, more predictable to construct and less expensive to operate. GRAPHISOFT is part of the Nemetschek Group, member of the buildingSMART Alliance and among the companies who initiated OPEN BIM. The Nemetschek Group is a leading global software provider for the Architecture, Engineering and Construction market (AEC). Headquartered in Munich, Germany, it serves with its 12 strong brands more than 1.8 million users in 142 countries from 50 locations worldwide. Founded in 1963 by Prof. Georg Nemetschek, the group focuses on innovations such as Open Building Information Modeling (Open BIM) for the AEC market of tomorrow. Publicly listed since 1999 and quoted on the TecDax, the company achieved revenues of EUR 218.5 million and an EBIDA of EUR 56.8 million in 2014. Allplan is a leading European provider of intelligent IT solutions for architects, engineers, building contractors and facility managers. The core product - Allplan - is the platform for building information modeling (BIM) and optimally supports the seamless planning and construction of buildings in terms of quality, cost and time investment. The software is currently being used by 65,000 customers in 16 languages. Allplan is part of the Nemetschek Group, member of the buildingSMART Alliance and among the companies who initiated OPEN BIM. Scia Engineer is a leading Modelling, Analysis & Design solution for Structural Engineers by Nemetschek Scia, a member of the buildingSMART Alliance. It is the only Structural Analysis Software that is IFC 2x3 certified. Based upon a powerful 3D structural modeller engine with parametric forms, detailing views & drawings, it allows the design of industrial structure, infrastructure and low-to-high-rise buildings. The software has several international building codes integrated for the technical design and optimization of steel, concrete, timber, aluminum, … multi-material constructions. Trimble provides positioning solutions enabling professionals in engineering and construction, surveying, agriculture, fleet management and field services to be more productive by revolutionizing their work processes. The Trimble Group is a member of the buildingSMART Alliance and supports OPEN BIM. Since 1984 DATA DESIGN SYSTEM (DDS) has developed innovative and cost-efficient software solutions for building services professionals. DDS-CAD is a true BIM platform, compliant with open buildingSMART standards. The company's flagship product DDS-CAD MEP are available both as one integrated multidisciplinary solution and as separate solutions for each of the MEP disciplines (mechanical, electrical and plumbing). DDS’ products are being used daily and successfully for MEP design and calculations in BIM projects world-wide. 1. What are AEC projects' key collaboration issues? Even at the smallest scale – AEC projects are endeavors charged with serious collaboration challenges. Successfully completed building projects are the result of the collaboration of different teams of building professionals such as architects, different types of engineers and a network of the general contractor and subcontractors. These teams more often than not have divergent "trade" priorities and belong to independent organizations with counter-pointing interests. 2. What are various approaches to address collaboration issues? Sticking to the technical level coordination between the different trades has been through a long evolution. Traditionally different trades submitted full printed documentation sets at the different stages of the design process and used light-tables to try and coordinate the different building structures and building systems. This approach is still popular today with paper's digital equivalents the still 2D DWG and PDF based collaboration workflows. With the advent of model based design (BIM) design collaboration entered a new era with the much richer building information model data. With BIM models there has been an increasing demand for true model based collaboration. Two fundamentally different approaches emerged one known as the "platform" approach where collaboration happens using the different branches of the same software solution, the other known as the "open" approach where different software solutions form the basis of model-based collaboration. 3. What are the characteristics of the "traditional" approach? 4. What are the characteristics of the "platform" approach? 5. What are the characteristics of the "open" approach? 6. What is the official definition of Open BIM? Open BIM is a universal approach to the collaborative design, realization and operation of buildings based on open standards and workflows. 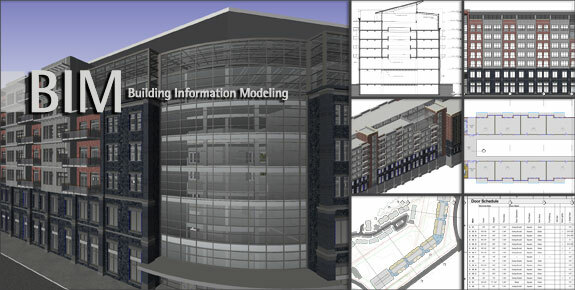 Open BIM is an initiative of several leading software vendors using the open buildingSMART Data Model. 7. What is the goal of the Open BIM movement? 8.	Who are behind the Open BIM movement? The Open BIM movement has been started by two software vendors – Tekla and GRAPHISOFT and is supported by other vendors and organizations. Open BIM at the same time is not an exclusive club instead an inclusive movement welcoming any organization in the AEC industry to join that is ready to support the overall goals and fulfill the agreed set of requirements. 9. What does Open BIM have to offer to me? 10. Why should my organization join Open BIM? 11. What are the requirements for joining Open BIM? 12. What are the benefits of Open BIM for software vendors? AEC software vendors' primary benefit to join the Open BIM movement is that they can offer their clients with open collaboration workflows that provide competitive advantage on local AEC markets. The Open BIM branding guarantees that the solutions developed by participating vendors comply with the Open BIM requirements and do not impose unnecessary limitations to AEC practices choosing their software to collaborate with any other practices. 13. What are the benefits of Open BIM for organization in the AEC industry? 14. What are the benefits of Open BIM for building projects in the AEC industry? Building projects themselves are products with their own market. With diminishing differences in building materials and technology, next to buildings' genuine design added labels such as "sustainability" can greatly increase the potential project value on the market. The Open BIM movement offers projects an additional label with very positive associations. Future owners, operators and tenants of such buildings will have better chances to further utilize the digital building model if it was created using the Open BIM approach in the first place. This promise is worth more and more real $$$ with the continuously elongate building cycles. 15. Where can I find more information about Open BIM?